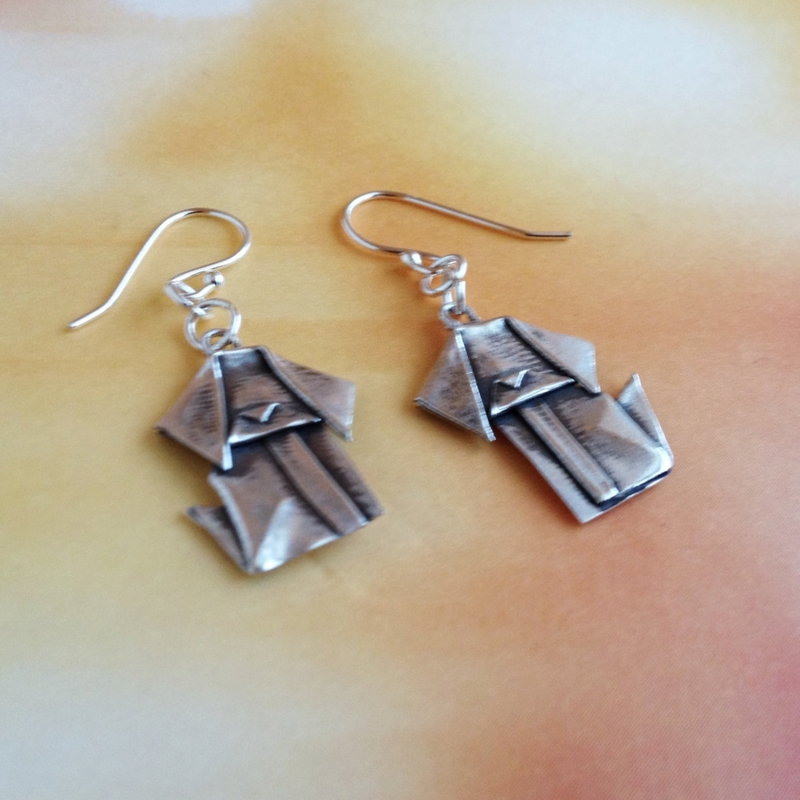 Two little origami puppies folded from fine silver, and made into earrings. 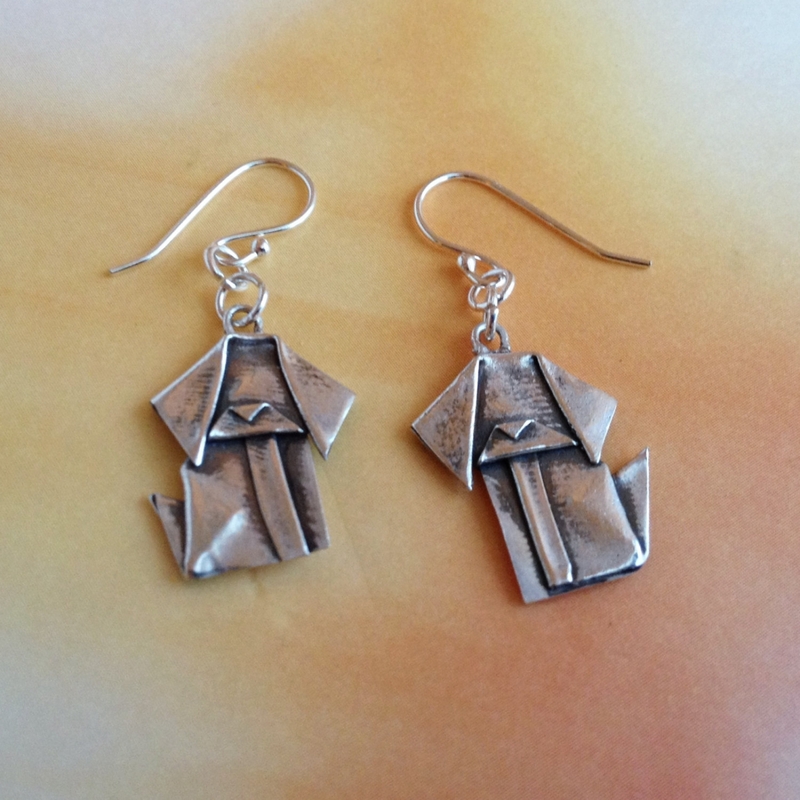 These little guys have been one of my most popular items with dog lovers. Because every one is folded by hand, there may be slight variations between them. Noses and ears may be larger or smaller, or heads turned slightly. These little guys are about half the size of the pendants, barely 1/2 inch tall. They are made from .999 fine silver, folded into puppy shapes, kiln fired, and given a light antiquing to bring out the detail. 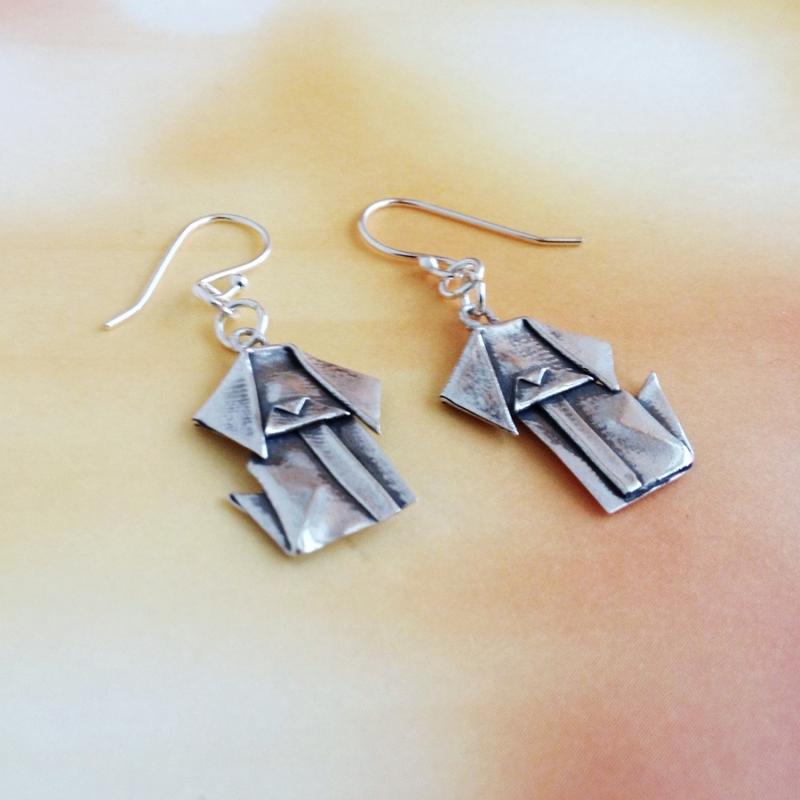 The ear wires are sterling silver.